Hendi and Hormoz are thirteen and sixteen years old at the time of their arranged marriage. Hendi loves her life at school; Hormoz has been promised a job in a local mine. But things don’t go as smoothly as expected, and as the pair begin to see the responsibilities that lie in store, both children must grow up very quickly. Punctuated by fleeting moments of joy and love, Hendi & Hormoz captures the growing pains of youth to adulthood, with the tender gaze of its powerful, intimate camerawork. Never before has the earth of the Hormoz Island been explored in such vivid dynamism as in Abbas Amini‘s (Valderama) stunning new drama. 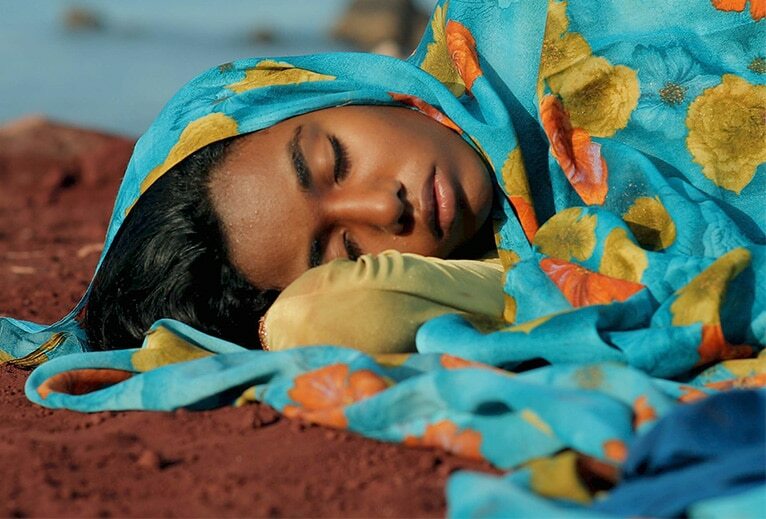 The screening will be followed by a discussion with British-Iranian painter Hana Louise Shanavaz, winner of The Ciclitira Prize 2017, to discuss the role of colour and the extraordinary, picturesque backdrop of Hormoz Island in the film. Hear Hana discuss her work and process, sourcing and mixing her own paint, including Hormoz’s iconic searing red.